This is a very simple prayer for miraculous multiplication based on Matthew 14:13-21 which is the story or Jesus feeding the five thousand with loaves and fishes. We want to point out the principles that are outlined in the scriptures based on the miraculous multiplication of the fishes and loaves and show you how to pray this when you need a miracle. God is very much still in the business of performing miracles. The first thing you have to consider is that there has to be an environment that requires a miracle. So, there must be a situation where you are not capable of making something happen. It is only at that time that you have an environment for a miracle. God has to get all the glory. He is the only one that can take credit for the miracle. The next thing you need to know is that this prayer for multiplication is not only about food. You can use this for anything where you have lack, where something won’t make it to the finish line. It’s not enough or sufficient for the need. So what does that cover? Think about anything that won’t get you to where you need to go and apply this prayer i.e. it’s summer time and the air conditioning in your car probably will go out because your car is old. You can lay your hand on your car and pray this prayer over the A/C. Your car is on its last leg and you need it to continue to run until you get the money to fix it or the money to buy a new one, lay your hand on the car and pray the loaves and fishes prayer over it. Your washing machine or your refrigerator is making a funny sound and you can’t afford for it to break down because you don’t have the money to fix it, this prayer will work for you. You have very little money left in your wallet and that money needs to last for the rest of the month, lay your hand on the wallet and pray the prayer. 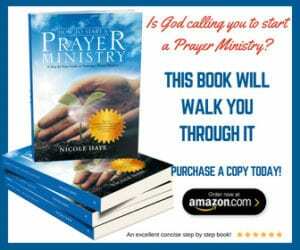 We will promise you one thing – THIS PRAYER WORKS!!! How will you know that it worked? If the car that was suppose to fall apart suddenly runs for one more year with no repairs the only way that could happen is if God performed a miracle and made it happen. If the money that you have in your wallet was only suppose to last 2 days and you made it through 15 days and still have money in your wallet, then the prayer worked and God made it happen. Most people expect miracles to be this big dramatic thing – like the blind seeing or limbs growing out in front of your eyes – and it is! But, what about the times when the miracle is so subtle that if you don’t reflect on it you won’t even know that it happened? Do you realize that the Israelites wandered in the desert for 40 years and their clothes and shoes didn’t wear out?? (Deutoronomy 8:4) Wow! Do you own a pair of shoes that you wear every day that lasted for 40 years? How about the fact that the shoes must also grow over the 40 years to fit the feet of the young ones! That was a miracle. But in their grumbling and complaining do you think any of them stopped and said “Hey guys, it’s been 20 years have you noticed that our shoes are still fine?” They probably didn’t even realize that every single day of their lives in that desert was a miracle. If God at this very moment was performing a miracle in your life, would you notice? God loves to do miracles because the only one that can get the glory for the miracle is God. It’s not our ministry for sharing this nugget and it’s not you. It’s God! He delights to fulfill His word in your life that His plans for you are for good and not for evil to give you a hope and a future! When this prayer works for you all you need to do is lift your hands to the heaven and thank God for his miraculous multiplication on your little! Give Him the glory that is due to His name. Then, you share this nugget with someone else and tell them to apply it to their area of need. They were full and there was overflow so they were aware this was a miracle. The need was met. Continue to do what you would normally do and you’ll notice that this thing will make it to the finish line. It will be enough. Your need will be met. 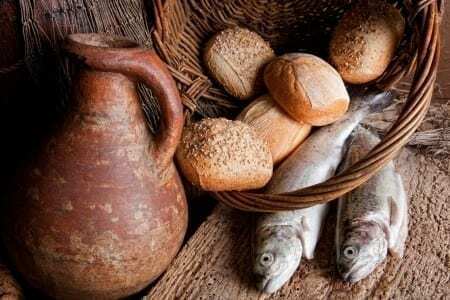 Abba Father, I come to you in the name of Jesus and I call to remembrance Jesus’ miracle of the fishes and the loaves. I acknowledge, as the disciples did, that it is impossible to feed 10,000 people with 5 loaves and 2 fishes. I also acknowledge that it is impossible to make it through to the end of the month with only $20 in my wallet. But, with You O God all things are possible! Lord, I need you to perform a miracle as you did back then by multiplying this money so that it will be enough and to take me through the end of the month with money left over. (Lift your wallet to heaven) Bless it, Heavenly Father and I wait expectantly for this miracle. Open the doors that need to be open so that miraculous provision will arrive, in Jesus Name, Amen. Now if you read this and thought “there is no way I would be able to take care of my family for 15 days with $20”, that’s a GOOD thing! This means that you have the environment for a miracle to occur. Abba Father, I come to you in Jesus name and ask that you would bless this car (lay your hand on the car) as you did the fishes and loaves in the feeding of the five thousand. I recognize that this car doesn’t have much life left in it but I pray that you would miraculously let it drive and drive and drive without need for repairs. I pray that it will take me wherever I need to go without fail. That I will be able to carry out the purposes and plans that you have for my life with this car. In your kairos time Lord I pray for a new car. Send me a new car. Bless me with the finances so that I may have that new car. Until then, I have faith and trust that this one will get me where I need to go. All glory and honor belongs to you in Jesus Name, Amen. You can use this prayer for anything and not just food. Please share this with someone else if it blessed you and if you choose to come back and share a testimony with us below of how this prayer worked for you we would love to hear it! We’ve witnessed this working for many others!